No I haven’t this time around! 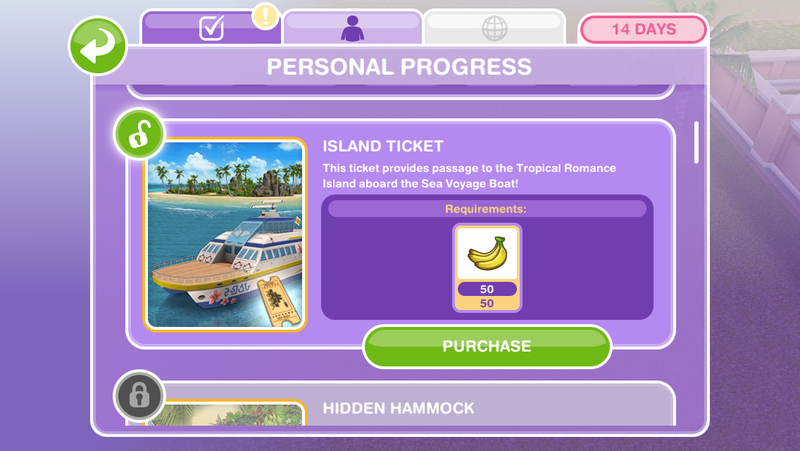 And yes I do think it is too hard, I have only build the hammock and the coastal dining because I am saving up for the wedding venue that I am still yet to unlock- another impossible event! 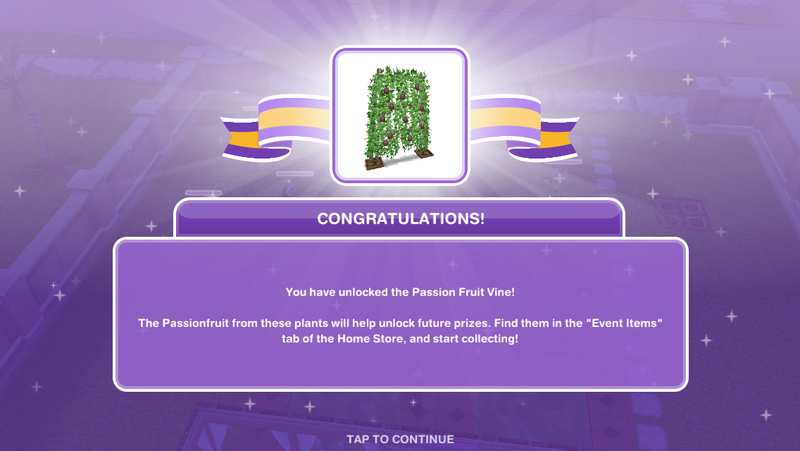 With 12 hours to go and like having spent countless hours building up LPs to trade for SPs to try and speed things up with those two passion fruit plants (I mean, really, only two!?) 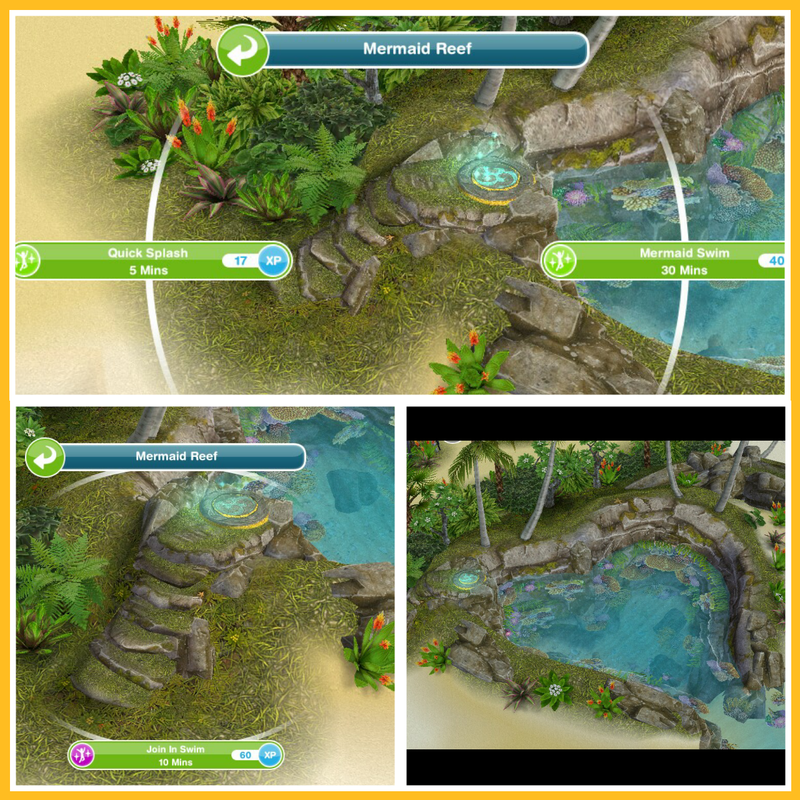 I’m FINALLY able to build either the Wedding Venue OR Bungalow, after having skipped the Volleyball, Bar & Mermaid Reef just in case (although I think I’ll have enough resources to build 2 of the 3 now as well if I use LPs to speed things up, which I will after all that trouble). It’s been so time consuming and ridiculous that I’m a little worried after all that hassle it’s not even really worth it in the long run. I mean, for one I’m so burned out (and nearly threw my device across the room when I saw the upcoming Country Homestead event since it’s TOO SOON and I love country homesteads in real life so can just see myself caving and going for stuff, sigh), and for another my poor little sims never have any time to DO anything anyways. Too hard indeed! 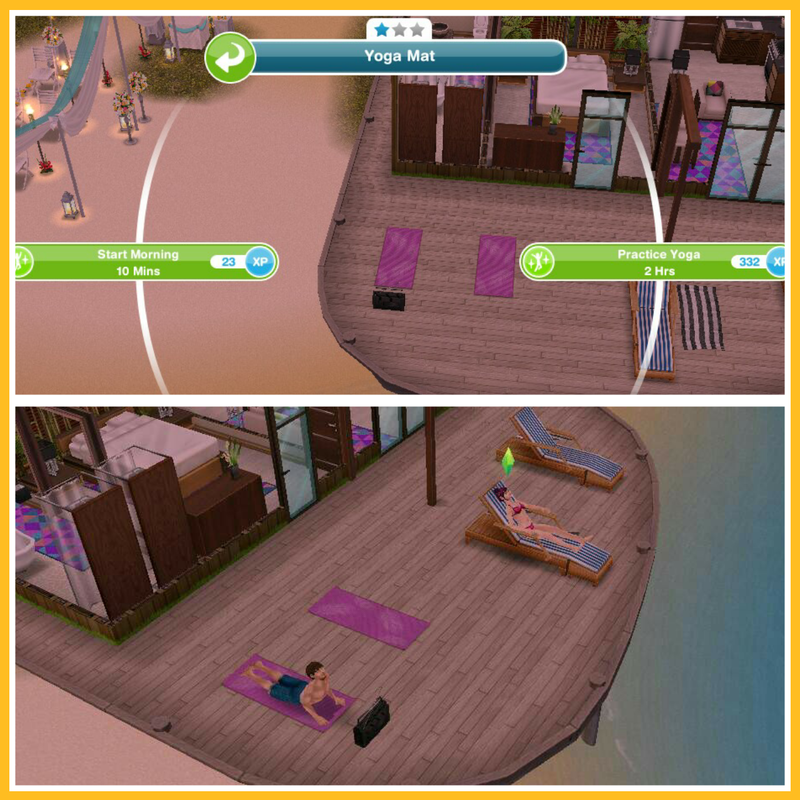 Sidebar: As I’ve only been playing for a few months, does anyone know if we eventually unlock yoga mats for our homes outside of the Bungalow? I’d love to have a yoga mat, but if I have to pick between a home that I can’t move anyone into and a wedding venue that I can at least take cute screencaps of and stuff, I’m going to have to go with the venue. Still, curious if yoga is limited to the bungalow. If so, guess I’ll just have to wait until they perhaps bring the event back lol. I hope you managed it! The yoga mats are only currently available at the bungalow. Thank you! 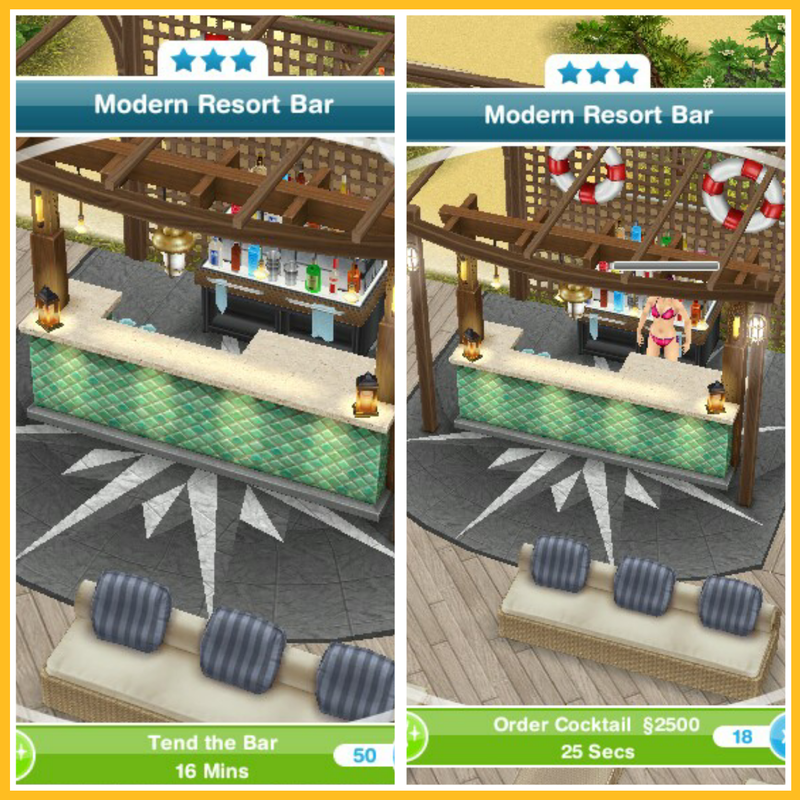 I managed to get everything, but the bar (which is fine since we unlocked the furniture so I just made my own) and the bungalow. Thanks for answering about the yoga mats. That’s strange that the yoga mats are only there (I also think yoga would be a really nifty hobby in general). 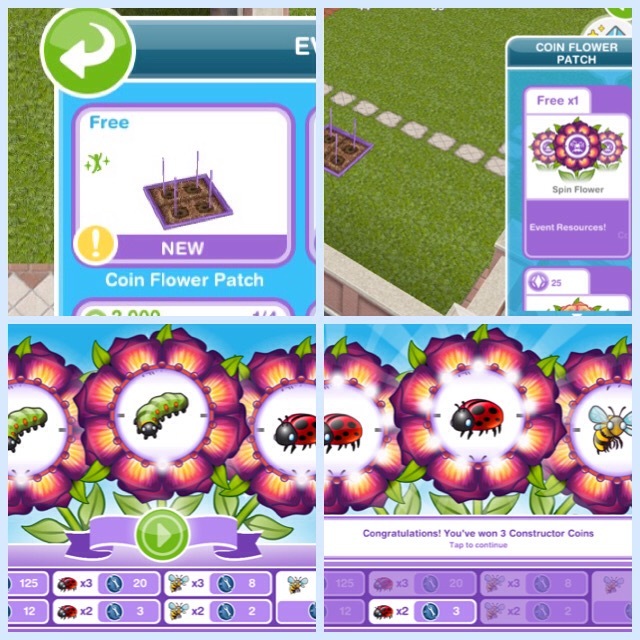 I would like one for aesthetic purposes at one of my health-nut/nature-y sim’s place, but I guess they’ll have to keep using their imagination with one of the unlocked latin villa rugs lol. Yoga mats would be great! There is now a health hub in simtown, I think they could add yoga mats to the area outside of that and make yoga a hobby! 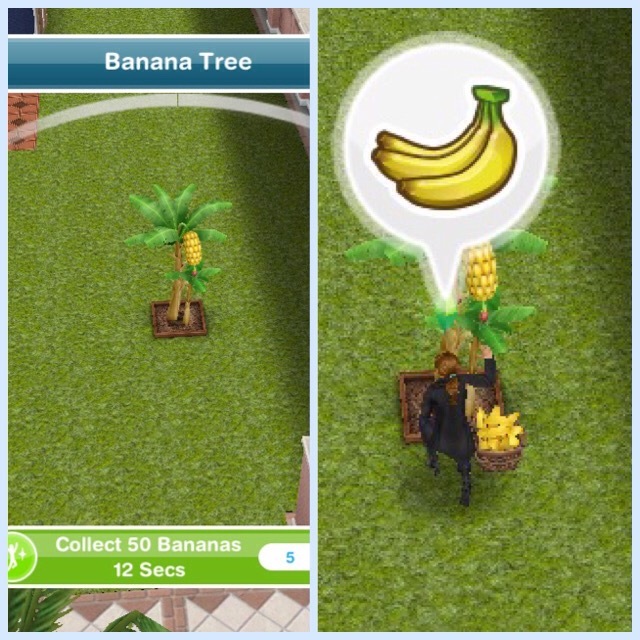 IF one has “spare” tropical fruit afterwards, can you sell it or otherwise use it, so the effort is not wasted? 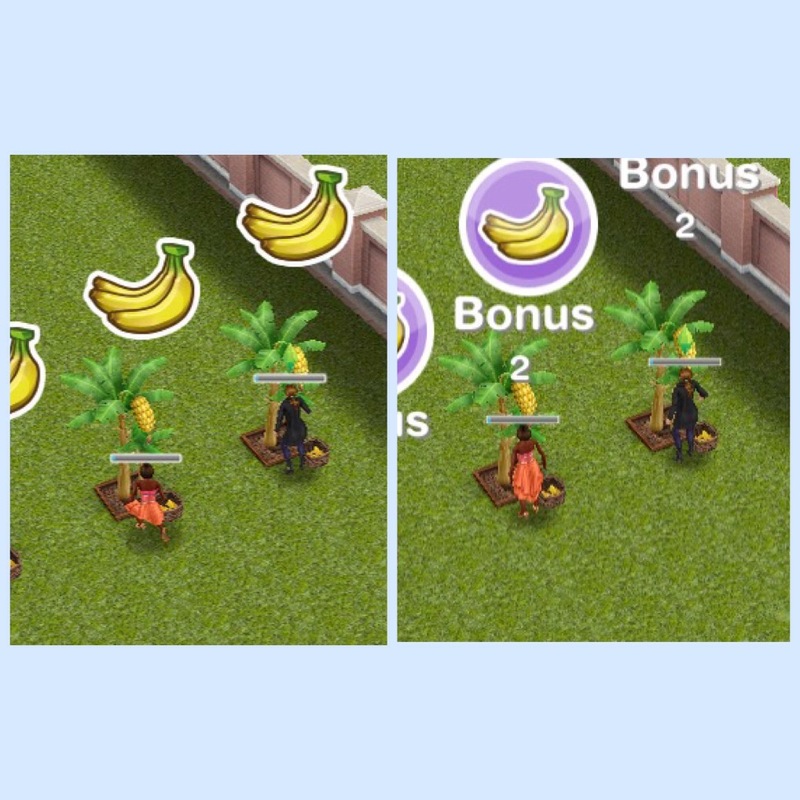 besides the bananas with the spin plant, i mean. 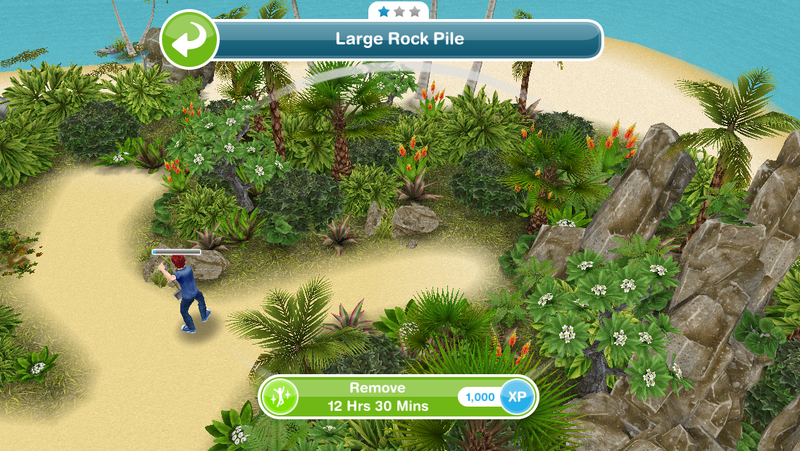 you can sell the career assets that sims build up at the police, etc…. 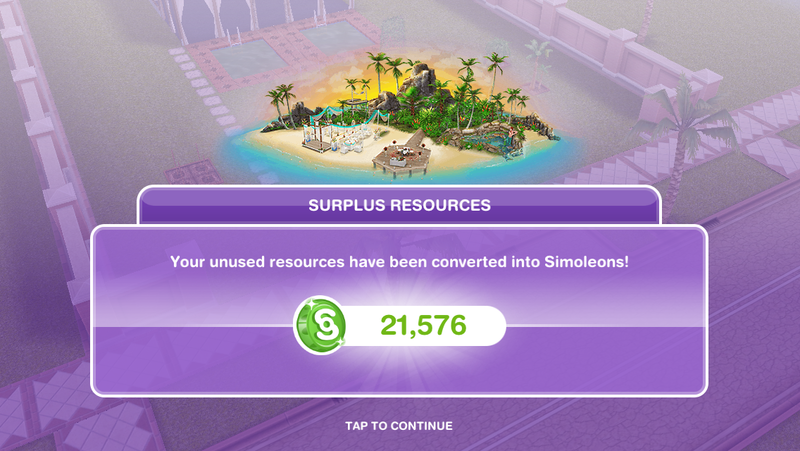 I’m guessing we will earn simoleons for left over resources like we did in the previous event. I fnished the event yesterday with some resources to spare: when the construction of last building was completed, I have received a congrats message while my left resources were transformed in simoleons. No need to do anything, all happened automatically. PS this time I was super-extra-lucky, since I have won three times the 125 coins jackpot when spinning the wheel of the spin plant. 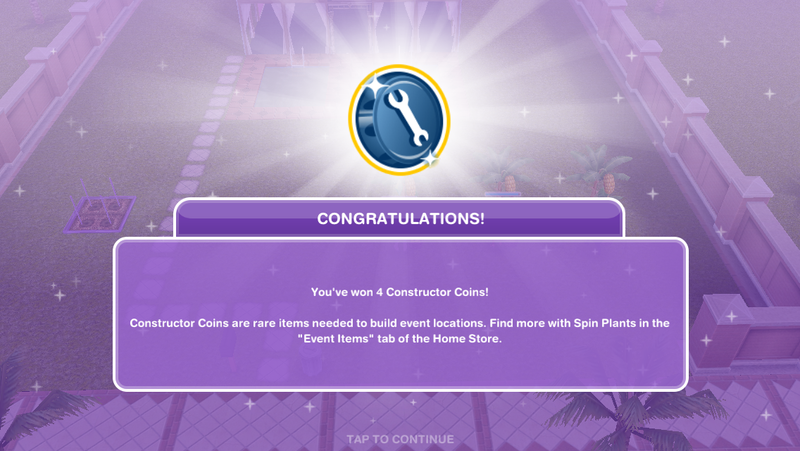 I haven’t spent a single SP, since last two events teached me the hard way that Mega spins are not so mega after all, since I have spent 100 SP or more and got only 50 or 60 coins! So I have decided not to use the mega spin at all, and keep my SP to replace lacking resources, where at least the exchange ratio is fair (1 SP for 1 resource or coin). This time was not even necessary, but I have to admit, my luck was something extraordinary. Sounds like you were very lucky with this one! I started this event from scratch and wasn’t holding out much hope after the French Romance, but I’ve just completed it without spending any real money or staying up all night. Whether it’s worth the effort or not is another matter! Hi. I’ve unlocked everything and was saving up my constructor coins and fruit for the bungalow at the end. 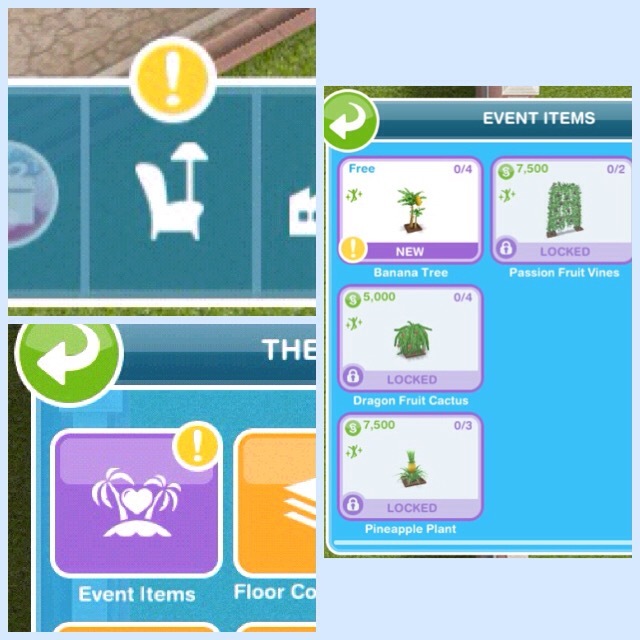 I just came on last night and the event still has 3 days to go but the game has converted all my fruit and coins into simoleons and now I can’t get back into the event! How can I get my coins and fruit back so I can build what I wanted. I’m really annoyed that I’ve spent so much of my time collecting everything I wanted in the time and now I’m locked out of the event. 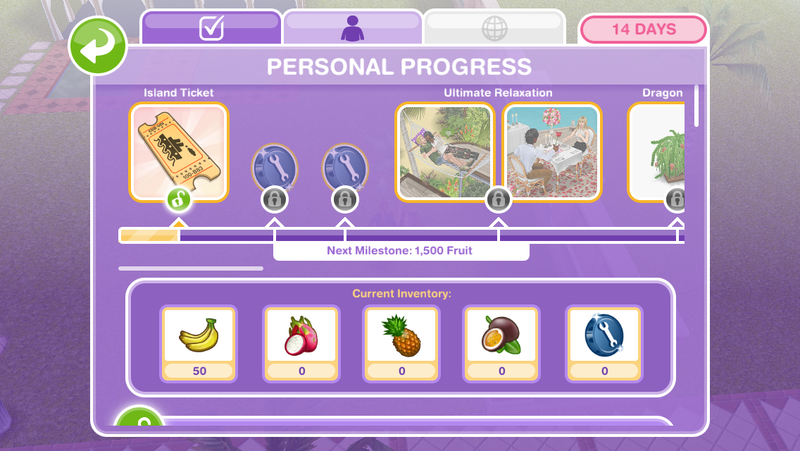 My sins can’t collect fruit and the event icon is removed from the left corner of screen so I can’t get access, but this event is still going on!!!!!!!!! 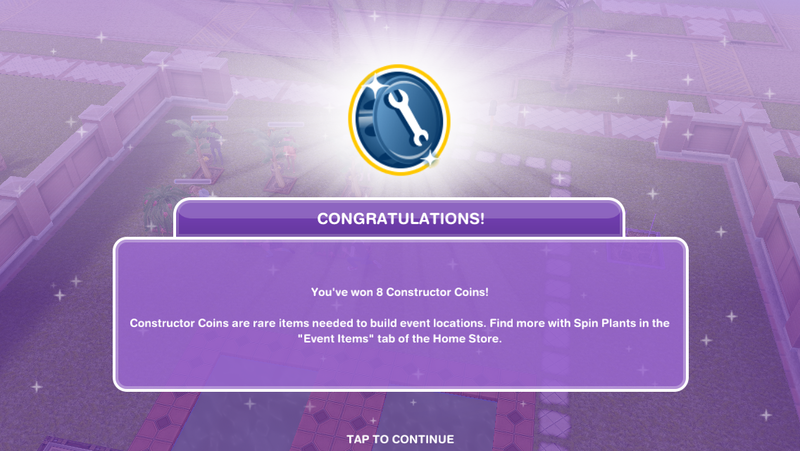 I have been told that apparently there is a glitch in some players games when you claim the beach clothing community prize the event ended early and you can’t build anything else and your remaining fruit and coins are converted into simoleons. You may want to contact EA about this issue to see if there is anything they can do, but don’t worry too much, I am sure they will bring this event back again for you to have another go! 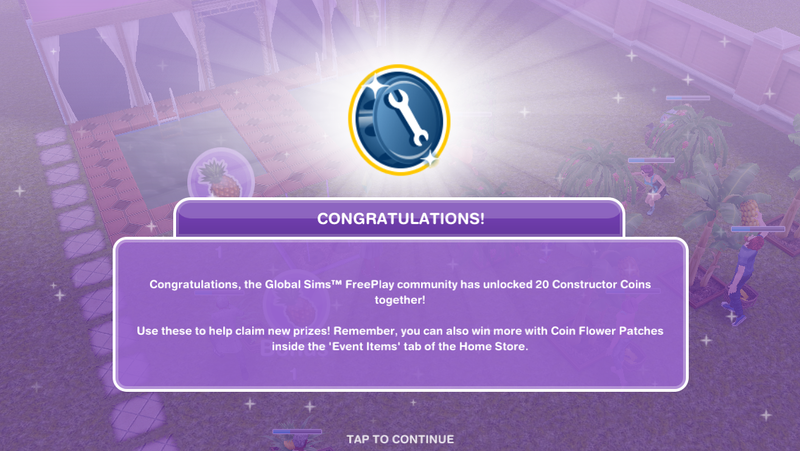 lynnsuzanne: i am playing SFP with no add-ons that cost extra or upgrades. 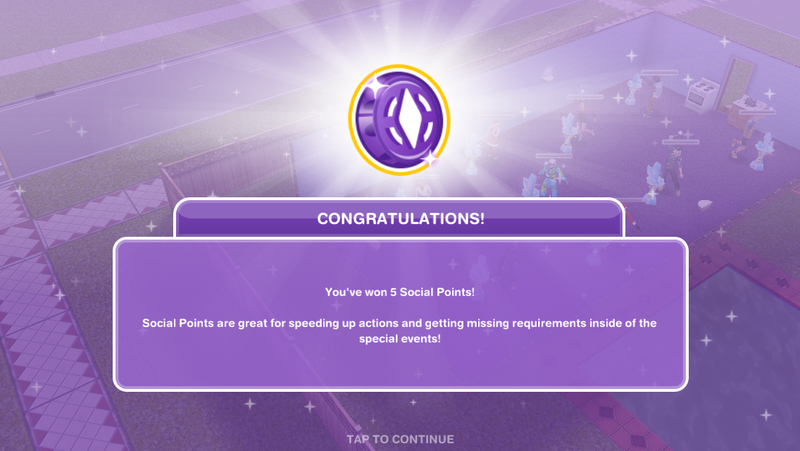 it is do-able, but you have to watch all the ads for points, and you will simply not finish some quests. 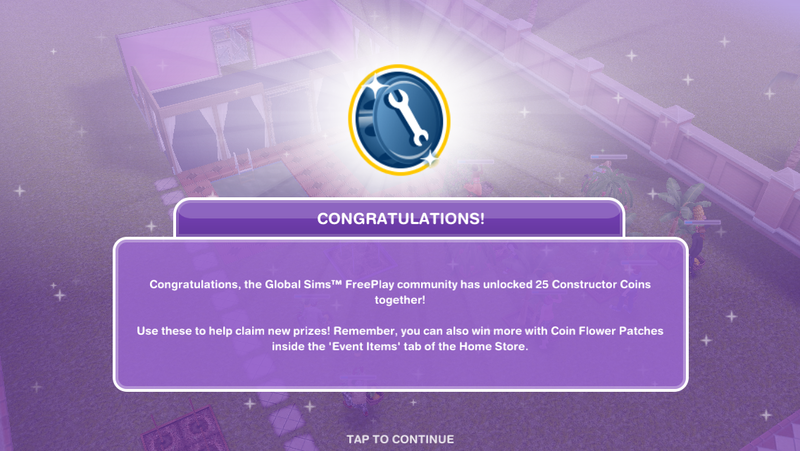 i am at level 29 after 3-4 weeks with 22 sims, and enjoying myself, but i have to refuse/delay a lot of purchases. also, they are ‘busy’ all the time with work/chores. no one rests lolll. 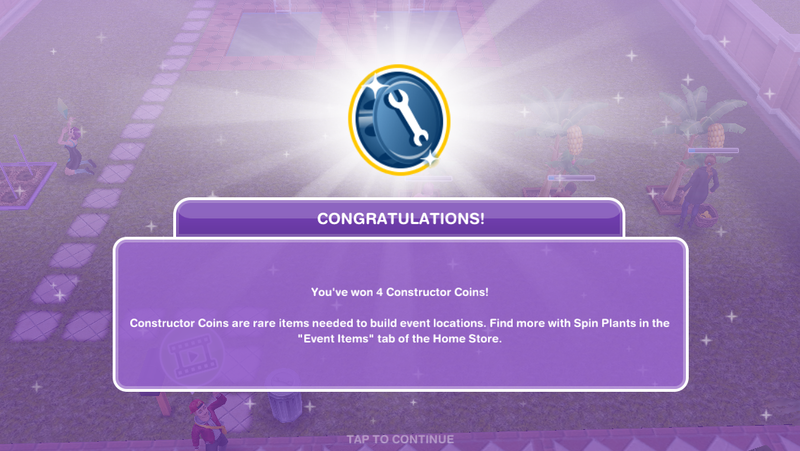 Your info is invaluable thanks I am also finding the coins impossible to achieve without using the mega spin and I am still way to short. I don”t think they listen to their users and the levels are seriously over the top. 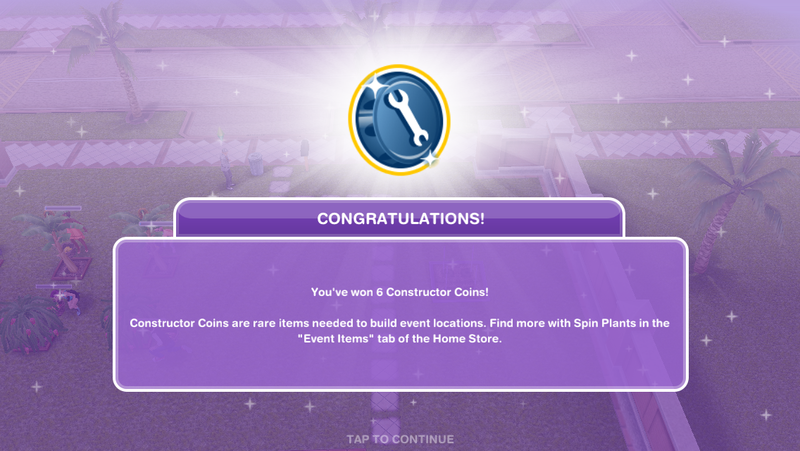 Thanks for the info I didn’t realise sims couldn’t live in the bungalow so I’m not sure I will be to upset with not achieving the coins to build it. This made me start from the beginning and “unlock” aka pass everything I already earned, so the only new things I got were the community pieces. 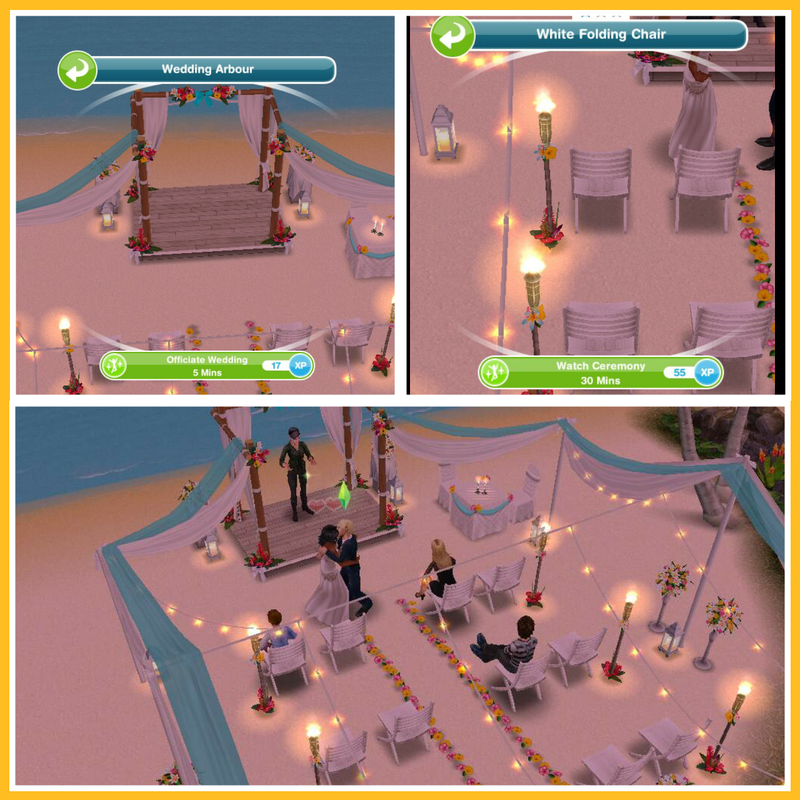 I just needed the wedding venue and bungalow and it looks like I will still be without them. So frustrating. 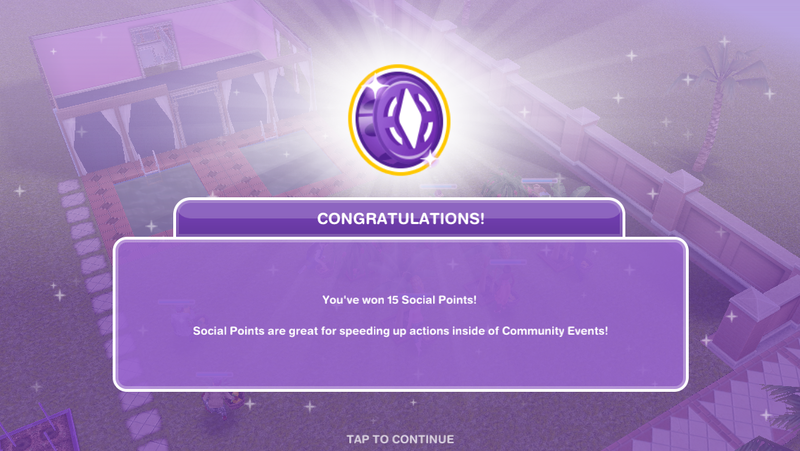 My event ended early. I’ve still have 16 hours left. I lost all my resources and coins and I was trying to get the bungalow. Has anyone experienced the unexpectedly ending like me? How to get married in that place? There is option i should be the priest or watch them get marries, there isnt any option to get married. Should I propose first? Thank you for your guides, they’re always very helpful. 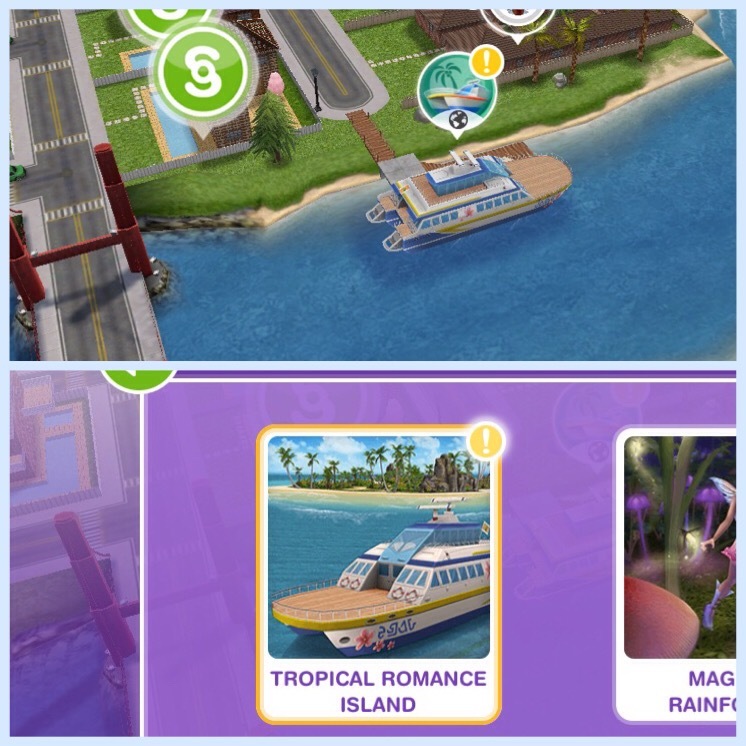 Quick question, I won’t finish this time around, if they bring this event again next year will I be able to finish the island off from where I am now? or will I have to start from the beginning again? You’re welcome! You will start from where you left off. Can you build after the timer runs out? 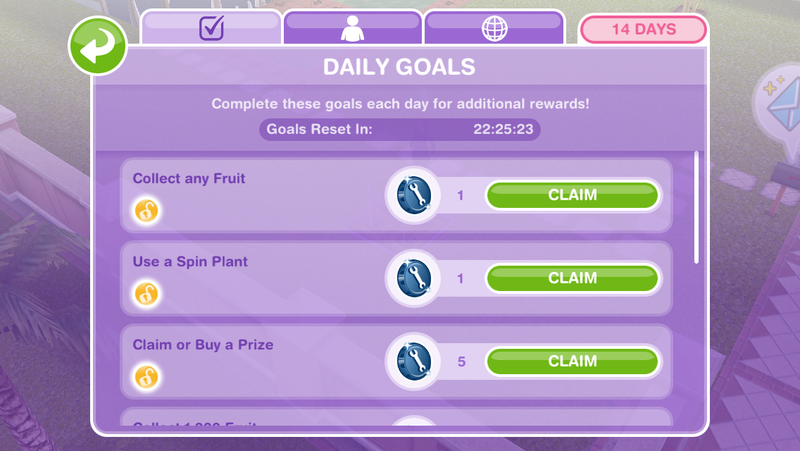 Once the time is up you have 2 days to build any areas left but you cannot collect anymore fruit or coins during this time. How frustrating! I am glad you were able to recover the event. 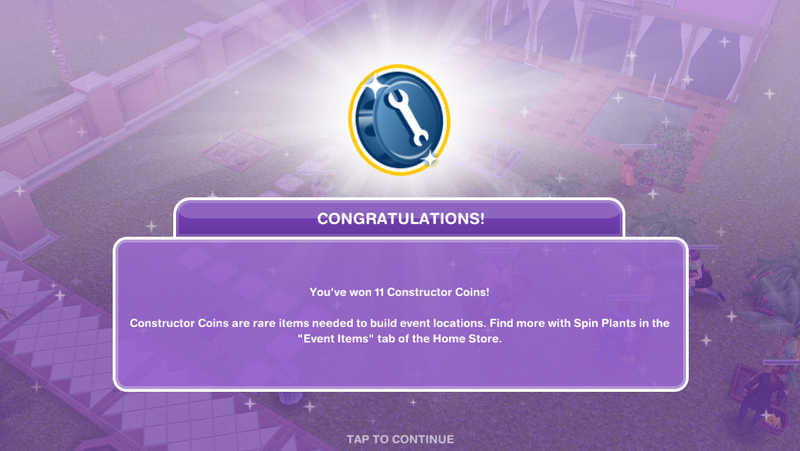 There are 3 hours left and I’ve come sooooo close to finishing but alas… in the end, like predicted, gathering constructor coins was too difficult. 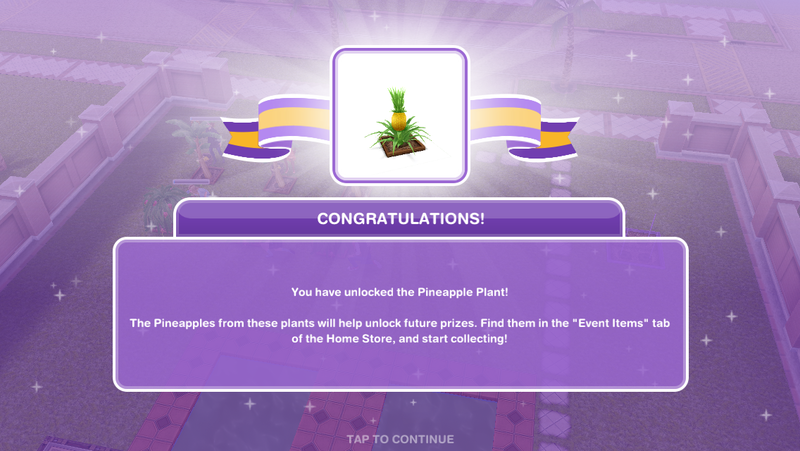 I’ve harvested an insane amount of fruit but I wish there was some way to convert the excess dragon fruits, pineapples, and passion fruits into bananas. 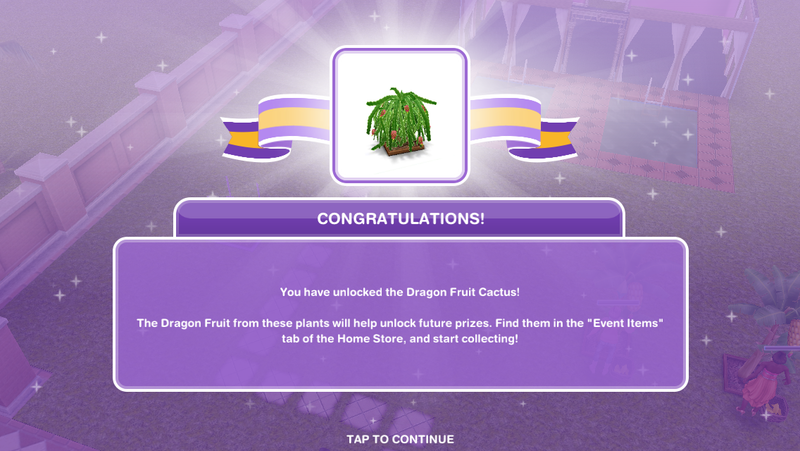 Still, after only using SPs to buy one more banana plant and one more dragon fruit plant, I’m proud of coming this far in this event! Thanks a lot for your blog posting, it’s helped a lot for this event as well as for playing the whole game! Don’t worry, I’m sure it will be back again one day! 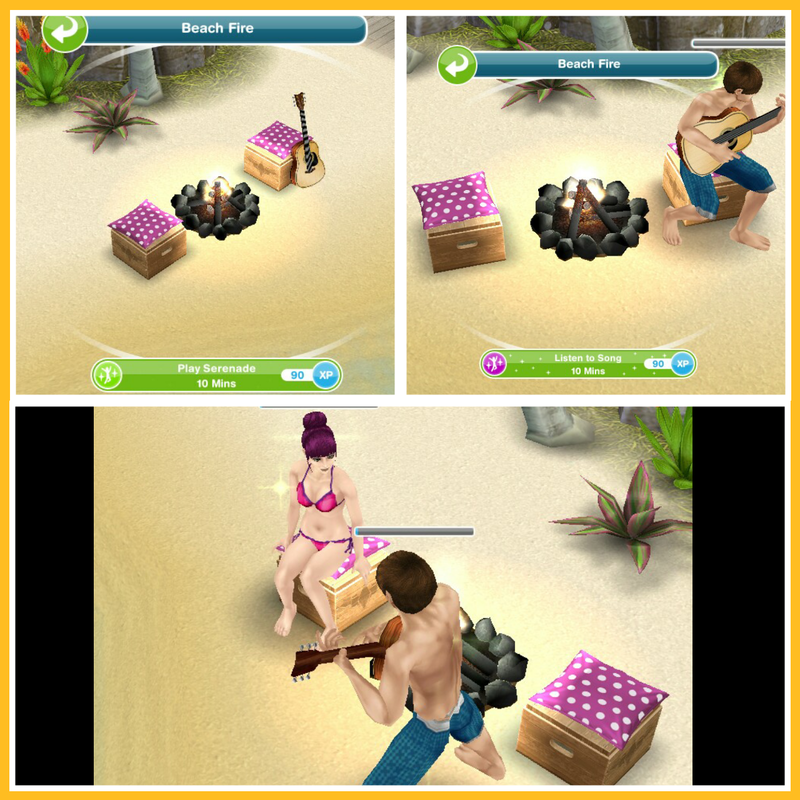 Can I get a 3rd shot at this cause got so close only needed to unlock the last 2 wedding & bungalow darn so mad ? It will probably be back again one day! I finally have the wedding venue! 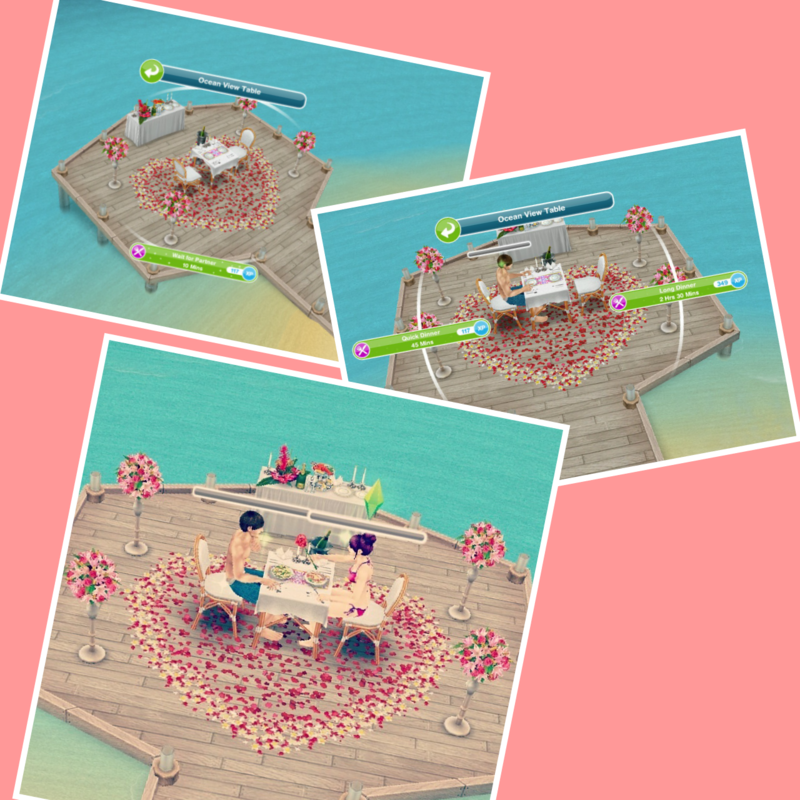 Now I can’t work out how to actually make two sims get married in it, though 🙄 Anyone have any idea? I have two sims engaged to each other. It allows me to select “get married” for one of them but not the other?? Can you not get them married like you usually do? 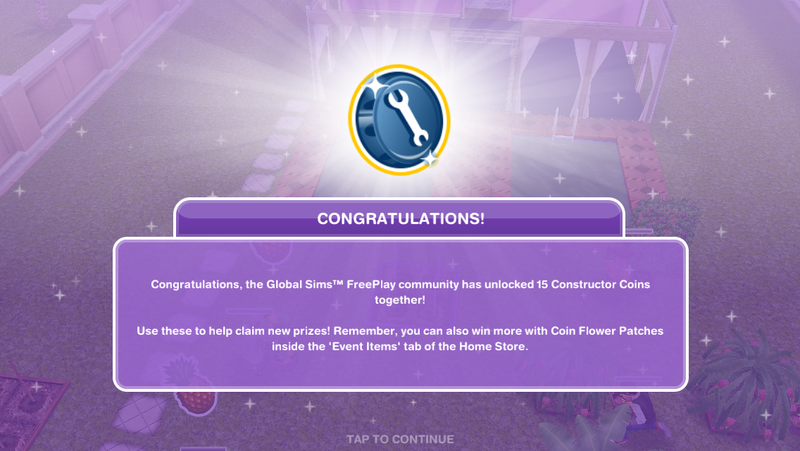 That’s how it worked last year, I don’t know if they changed it so you can get an option on the venue to marry your sims. Yes, I worked it out. The problem was that they were engaged but not quite ready to be married – does that make sense? Once they are at the stage where “get married” is appearing as an option, they will do. 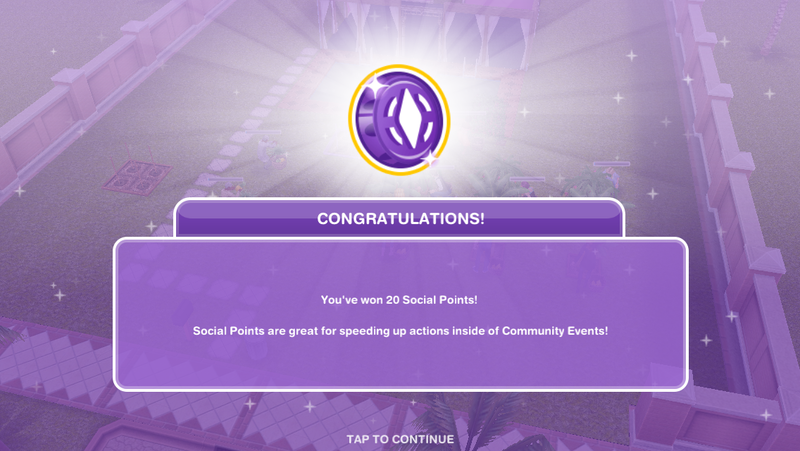 I’m so annoyed at this event! 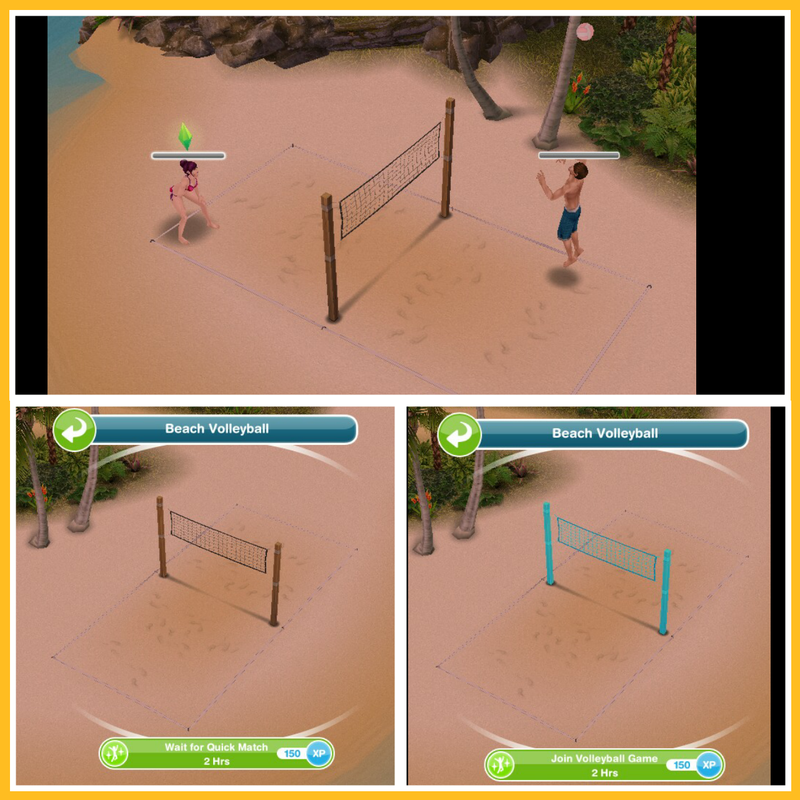 I only got as far as the volleyball beach, and I ran out of time before I could get enough fruit to build it! I had sims picking fruit round the clock, on as many fruit trees as you could buy, and still didn’t even get close to completing the island. I haven’t yet managed to complete a task in the time limit provided. I don’t even bother with the Market Events any more. So disappointed! 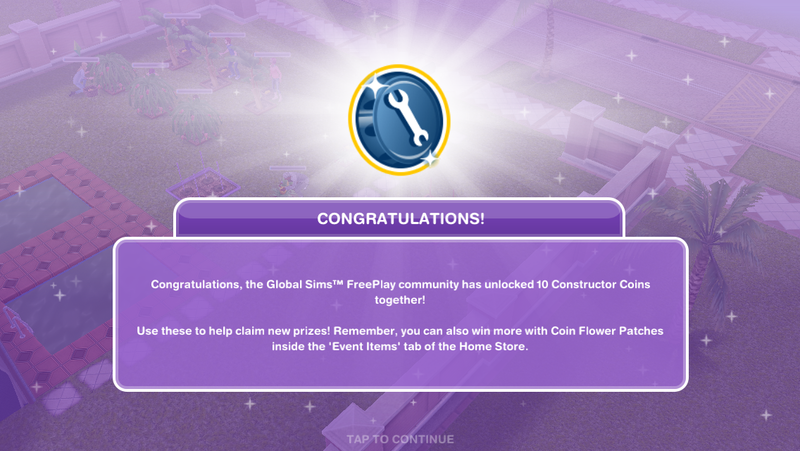 My timer for the event just ran out, and I now have two days left to build areas. 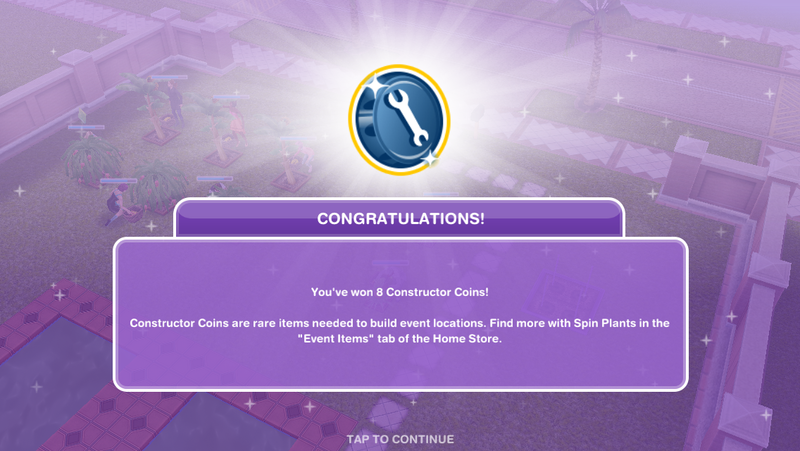 I forgot the fact that I couldn’t build several areas at once, so I started building the Competition Center right before the timer ran out. I don’t have enough LPs to finish the building (which lasts for two days). 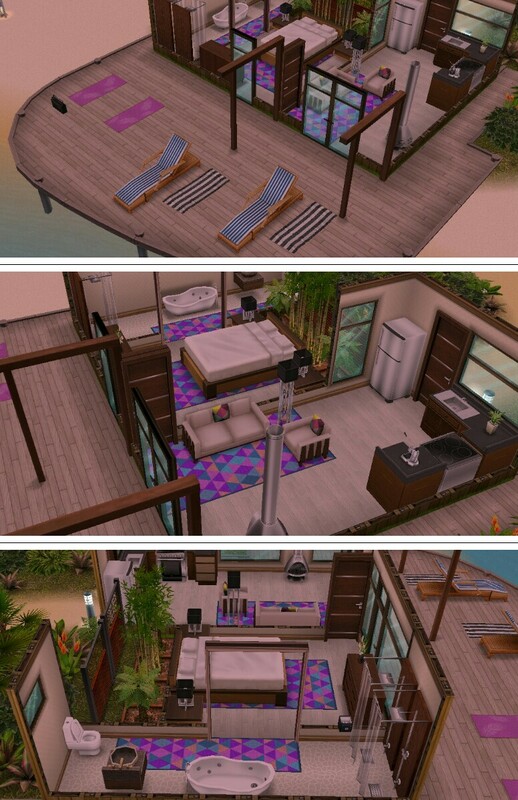 I’m just wondering if I can get the Sea View Bungalow even though it has to finish building after the two day’s limit expires? 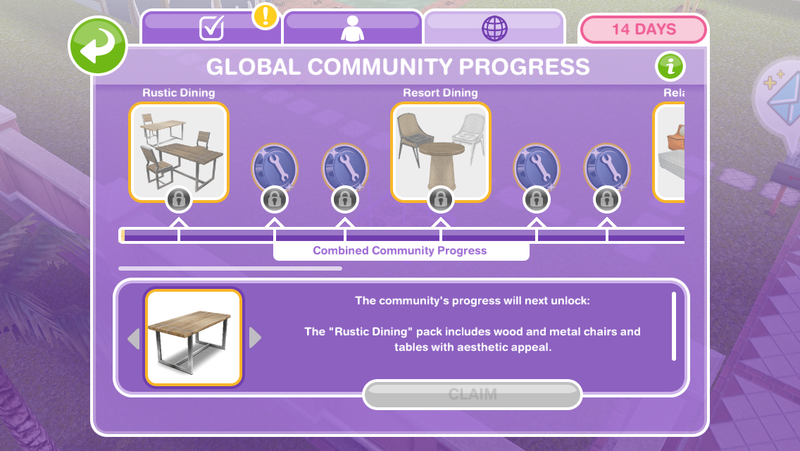 I’ll start building the Bungalow before the limit, but I don’t think it will reach to get finished within the time limit. If you start building it in the time you will be able to finish building it once the time is up. 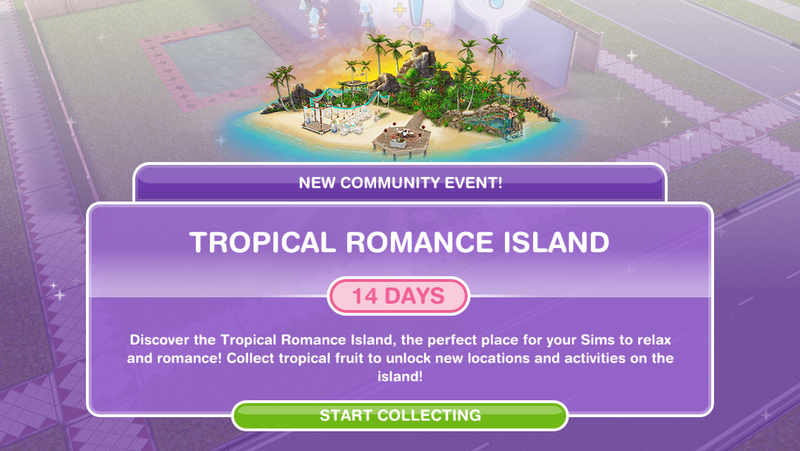 What time come back romance island again? No one knows when or if it will be back again, we will just have to wait and see!